As announced today on the blog of the Archivist of the United States, our cultural partnerships coordinator Dominic McDevitt-Parks will be re-joining the National Archives and Records Administration as a full-time employee in their Office of Innovation. He originally served as their part-time Wikipedian in Residence back in 2011, and as the first-ever permanent Wikipedia liaison for a cultural institution, he will be continuing the work he started for them. 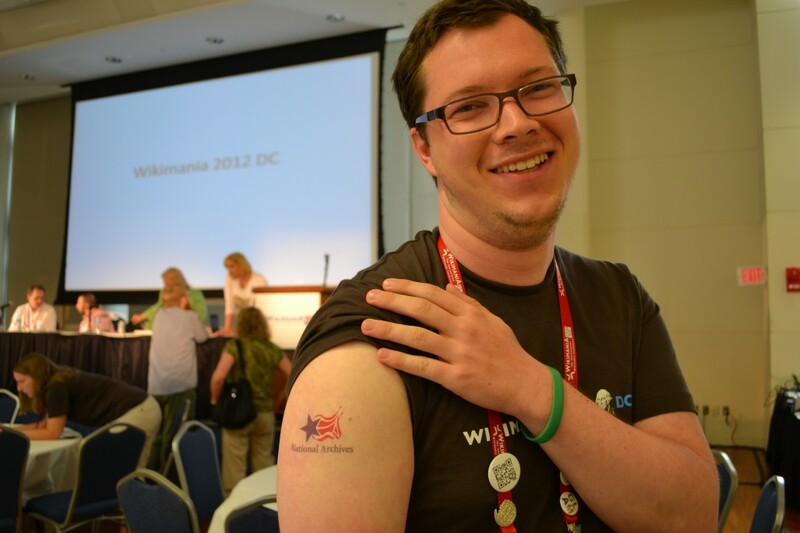 Wikimedia DC and the National Archives go back years. We hosted Wikipedia’s tenth birthday celebration at the Archives back in 2011, and our community has worked closely with them to make their content available to the Wikimedia projects. Dominic’s efforts at the Archives led to over 100,000 digital scans from the Archives to be uploaded to Wikimedia Commons, as well as multiple scan-a-thon events, and Wikimedia DC looks forward to continue working with them. Congratulations, Dominic, on your new job! So far, over 5,300 images have been uploaded as part of Wiki Loves Monuments! If you have a picture of a site on the National Register of Historic Places to upload, follow the instructions here to upload. You can also use our handy map tool to find a place that still needs a picture. Check it out—there may be a site just steps from where you live or work! Remember, you have until September 30 to upload your picture in order to qualify for our contest. Don’t forget that this Saturday we have twin photo walks in Baltimore and Richmond. We hope to see you then!